We mainly focus on process and technical improvements with the occasional discussion about workplace happiness and motivation. If all knowledge and creative work is coming from the brain, why don't we focus there? 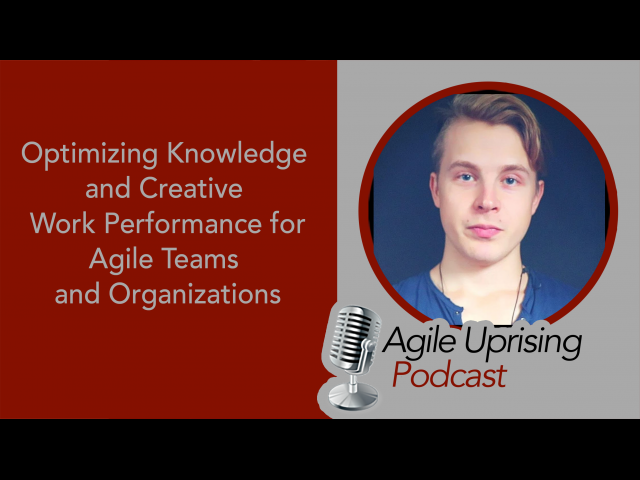 In this episode host Troy Lightfoot interviews Bio Hacking Expert Siim about how to optimize brain performance for individuals and what the effect might be on agile teams and organizations. Oura Ring (Code: SIIMLAND) for $50 Off. It's a little over two years since the Agile Uprising began...join the Board of Directors as they look back on this year to discuss their favorite podcast guests, share funny "behind the scenes" stories, reveal their idea of a "white whale" podcast guest, and discuss what they're looking forward to in the next year! Join Brad Stokes, Troy Lightfoot and Chris Stamoulis, coach of a state-winning football team and internal coach, as they discuss what it means to be a team and servant leadership. They explore areas such as vision, goals, cross-functionality and trust. Chris breaks down some great ideas on what it is to be a servant leader and how that works both on and off the field. Well this one took a turn...what started out as a discussion around coaching snobbery went down a rabbit hole where the group started discussing the dark side of coaching. Join Andrew Leff, Troy Lightfoot, Chris Murman, and Jay Hrcsko as they discuss what the real differences between portfolio, program, and team coaches are (hint-nothing! ), the golden rule when applied to working with other coaches, and how egos can not only get in the way of coaches working with each other, but also have adverse effects on those you're trying to coach.